Microdisplays are displays requiring optical magnification and OLEDs (Organic Light-Emitting Diode) are self-emitting displays where each pixel includes a LED made of organic material, in general composed of small-molecule organic material. This title reviews in detail how OLED microdisplays are made as well as how they are used. All aspects from theory to application will be addressed: basic principles, display design, display fabrication, operation and performances, present and future applications. The book will be useful to anyone interested in this rapidly developing field, such as students or researchers, industry professionals (engineers, project leaders) in the field of display development/fabrication and display end-users. François Templier works at CEA-LETI in Grenoble, France. 1. OLED: Theory and Principles, Tony Maindron. 2. Overview of OLED Displays, François Templier. 3. OLED Characterization, David Vaufrey. 4. 5-Tools and Methods for Electro-Optic Simulation, Karim Bouzid. 5. Addressing OLED Microdisplays, Philippe Leroy. 6. OLED Microdisplay Fabrication, Christophe Prat, Tony Maindron, Rigo Herold and François Templier. 7. 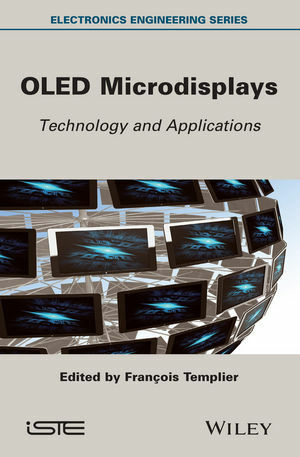 Applications of OLED Microdisplays, Khaled Sarayeddine, Ersun Kartal and François Templier. 8. OLED Microdisplays Present and Future, François Templier and Karim Bouzid.